"That moment when the sun starts setting into the night sky, painting it with vibrant hues of orange and purple before being peppered with sparkling stars, is a wonder that we pause to admire with those we love. 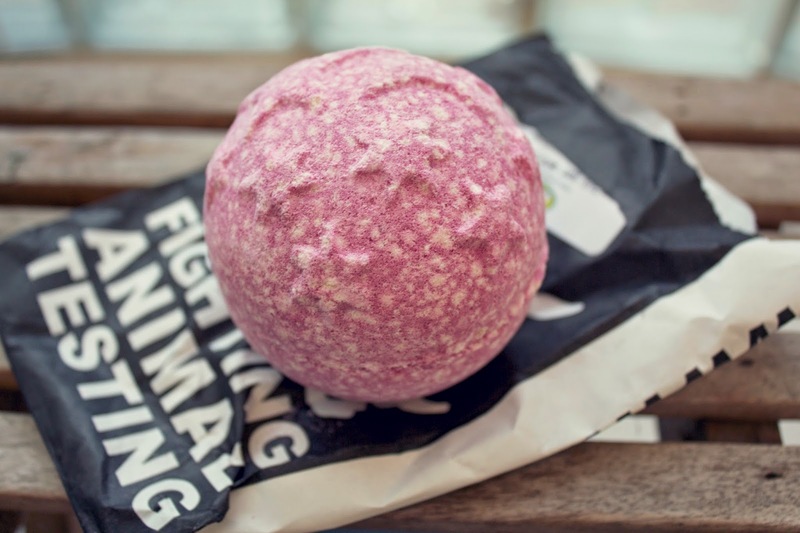 Recreate twilight in your bath water with clouds of lavender, ylang ylang and ovaltine to soothe body and mind. If you're stressed out, hugely overwhelmed or just plain exhausted, Twilight is the gentle, reassuring hug that leaves you feeling like everything's going to be okay. It's our most relaxing Bath Bomb yet, transforming you from one of the Sullens into a member of the living." The scent hits a nice middle ground with a mix of candy sweet smells and essential oils and made me feel very calm and relaxed without feeling overwhelmed by lavender. 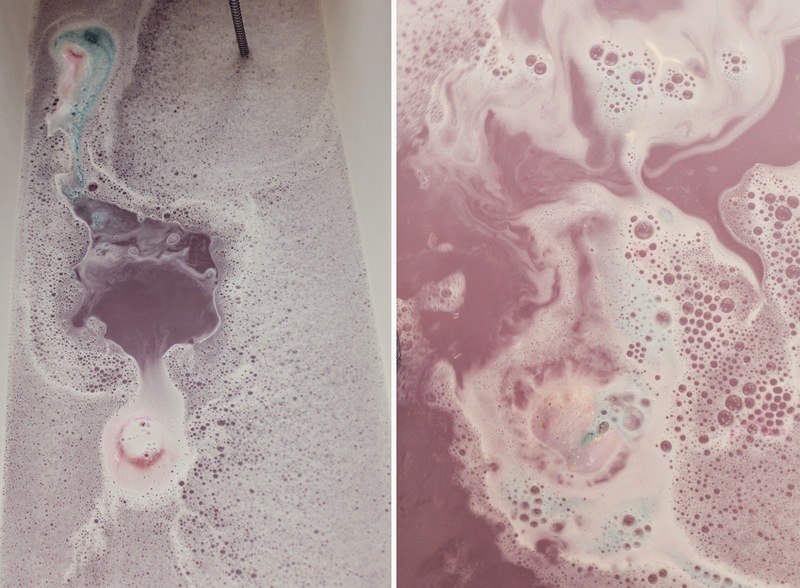 I think one of the most soothing things about it was watching the ball fizz around the bathtub while it changed colours and turned the water a nice shade of lilac. I'm not sure if I got a dud ball, but it didn't release the bright swirls of pink, purple and blue that I've seen in photos, but it foamed light pink and blue instead and I can't decide whether or not I preferred that haha. I ended up throwing in half of a bar of Creamy Candy that I had left over because I like to have mountains of bubbles in my baths, and it's a combination I'd definitely recommend because the smells mix together so nicely! This bath left my skin feeling super soft, and gave me a really nice feeling of wellbeing and general cleanliness which was just what I needed. Twilight is $6.75 for a 180g ball, which is a nice price for a pretty huge ball that'll give you the good, sleepy feels. Sleep tight!